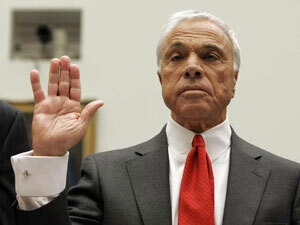 According to CNBC, the Securities and Exchange Commission will charge Angelo Mozilo, former chairman and CEO of Calabasas, Calif.-based Countrywide, the company he co-founded four decades ago and built into the nation’s largest mortgage lender, with insider trading. The SEC will also charge the company’s former chief operating officer, David Sambol, and former financial chief, Eric Sieracki, with securities fraud for failing to disclose the firm’s relaxed lending standards in its 2006 annual report. The charges, which are expected to be announced by the SEC later today, will not be accompanied by any criminal indictments. Mozilo sold some $130 million in Countrywide stock in the first half of 2007 through a prearranged 10b5-1 trading plan. This plan allows firm officers, directors and other insiders of publicly traded co.’s to transact in their company shares at all times. Mozilo is accused of remaining publicly upbeat about his company’s prospects during a period when he knew things were about to nosedive for the firm. It is really amazing with how much these guys are almost always able to get away with.